customers and make you look great! Looking for MORE opportunities to build your brand? 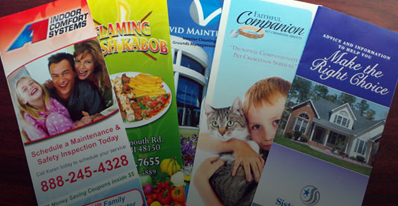 Perfect Impressions wants to be your source for graphics, from graphic design services to a full-service production house, we are with you every step of the way so that you can focus on running your business. 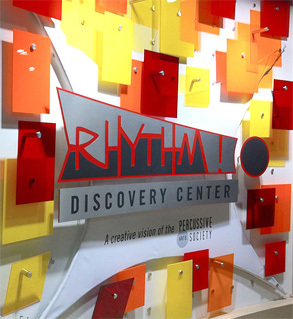 We have 10,000+ square feet of state-of-the-art equipment and showroom space. Controlling production of our products gives us more control in with our production and printing timeframes, pricing, and quality. When we say, “Yes, we can do that!” we mean it! 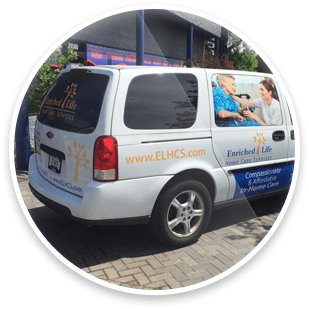 We can do anything from sticker printing to building wraps and everything in between. We have worked with small business owners, startups, and large companies to deliver the unique products they need. Visit us for a tour of our facility and feel free to stop back in at any step during production of your order. 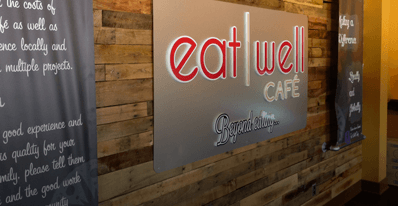 Your customer’s first impression will be formed by your marketing materials & signs, including banner printing, business cards, fold out & mailer printing, menu boards, interior retail signage, vehicle wraps, A-frame signs and other outdoor signs. We believe that every project we take on is a masterpiece in its own right and it shows in the care and dedication we give. We constantly strive to stay ahead of the competition by keeping up to date with new technology and styles. 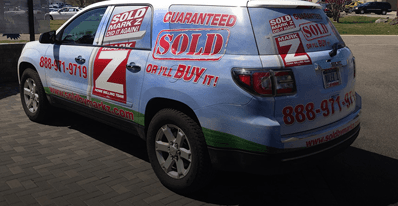 You could call one of the cheap car wrap or sign companies, but their product will not last as long or look as great as if you worked with our expert team.